"Help me. "When she opens her door to a wounded, handcuffed stranger, Laney Jefferson is terrified…until she recognizes her unexpected visitor. Thirteen years ago, Logan Randal was there for her when she desperately needed a friend. 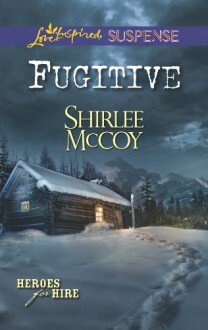 Now the wrongfully convicted lawman needs the widow's help. On the run from the law and guided only by Laney's unswerving faith in Logan's innocence, their mutual attraction begins to break down the barriers around Laney's heart. But the real culprit is much closer than they imagine…a cunning enemy determined to keep the past—and the truth—buried forever.